When we talk about investing in an equity mutual fund (MF), the term systematic investment plan (SIP) comes up. What are the benefits of SIP? 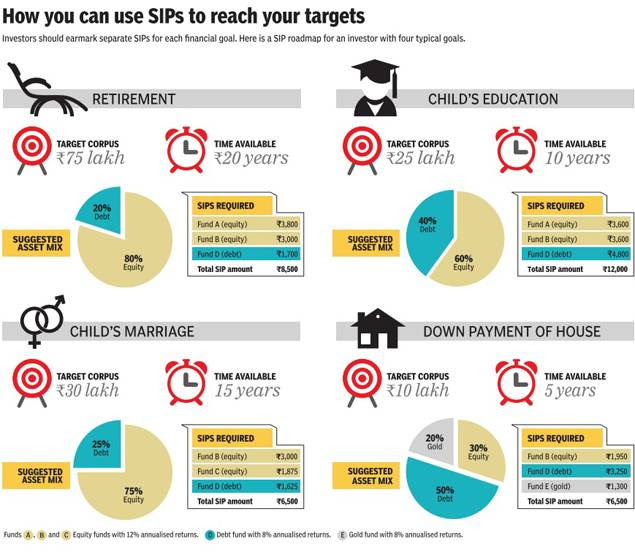 How to invest in SIP? What are various SIP calculators? A Systematic Investment Plan or / SIP is a smart and hassle free mode for investing money in mutual funds allowing them to invest using small periodically amounts . The frequency of investment is usually weekly , monthly or quarterly. SIP is a planned approach towards investments and helps you inculcate the habit of saving and building wealth for the future. Small amounts saved and invested over a period of time can create a large corpus. SIPs works best for investors having long-term goals, say, for their child’s higher education or marriage or creating a retirement corpus. When you register for a SIP, you issue post dated cheques or give instructions for auto debit of funds from your bank account and the day you want to invest. On the day of investment you are allocated a certain number of units based on the NAV (net asset value) declared for the day. Every time you invest, additional units of the scheme are purchased at the market rate and added to your account. Introduced in India in 1997, fund houses started off with monthly and quarterly SIPs . Now you can invest in SIPs with frequencies ranging from daily, weekly, fortnightly, monthly or quarterly depending on your financial goals. SIPs are flexible, you may stop investing in a plan anytime, or may choose to increase or decrease the amount. When you invest through a SIP , you commit yourself to saving regularly . 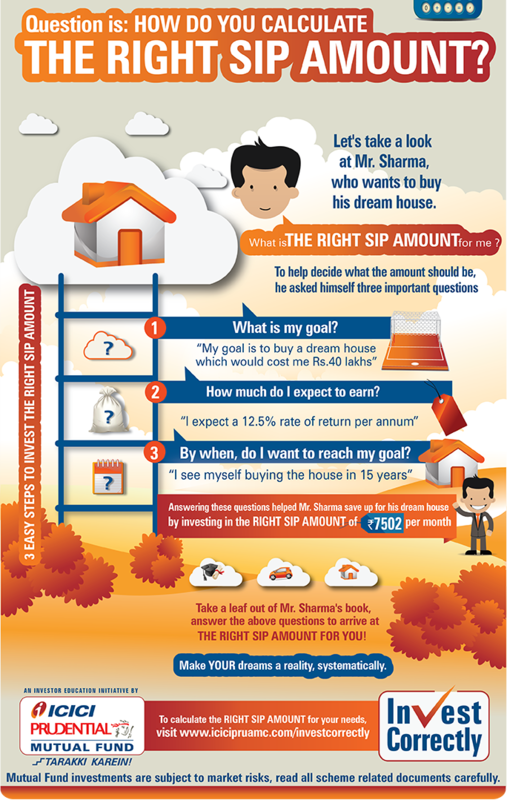 SIPs have a great psychological help while investing. Investors inevitably try to time the market. When the market falls, they sell and stop investing. When it rises, they invest more. This is the opposite of what should be done. An SIP puts an end to all this by automating the process of investing regularly. It eliminates deciding when to invest and leads to better returns. SIP is a hassle-free mode of investment. You give post-dated cheques or issue a standing instruction to your bank to facilitate auto-debits from your bank account for some time ex: 6 months. Rupee-cost averaging: With volatile markets, most investors remain sceptical about the best time to invest and try to time their entry into the market. Rupee-cost averaging allows you to opt out of the guessing game. Since you are a regular investor, your money fetches more units when the price is low and lesser when the price is high. During a volatile period, it may allow you to achieve a lower average cost per unit. For example, you decide to do a monthly SIP of R 5,000 in an equity MF, it means on a specified date every month you will invest Rs. 5,000. Every month the net asset value (NAV) of the fund will change as per performance and by investing regularly you will buy units at times at a NAV higher than your first one and at times may be lower than for first NAV. Let’s say your first SIP was at a NAV of Rs. 10, you would get 500 units (Rd 5,000/R10). In the next month, if the NAV goes up to Rs. 12, then you would get 416.67 units but if the NAV goes down to Rs. 8, you would get 625 units. “Compound interest is the eighth wonder of the world. He who understands it, earns it… he who doesn’t… pays it.” is true though Albert Einstein did not say it. The rule for compounding is simple – the sooner you start investing, the more time your money has to grow. If you started investing Rs. 10,000 a month on your 40th birthday, in 20 years time you would have put aside Rs. 24 lakhs. If that investment grew by an average of 7% a year, it would be worth Rs. 52.4 lakhs when you reach 60. However, if you started investing 10 years earlier, your Rs. 10000 each month would add up to Rs. 36 lakh over 30 years. Assuming the same average annual growth of 7%, you would have Rs. 1.22 Cr on your 60th birthday – more than double the amount you would have received if you had started ten years later! Due to the advantages of rupee-cost averaging and the power of compounding, SIPs have the potential to deliver attractive returns and build a considerable corpus over a long-term investment horizon. A SIP can be started with an amount as small as Rs 500. An investor can choose to run it for a tenure of a mere six months or / even longer including the option to run it perpetually . An investor can choose a date from amongst the various dates available depending on his convenience or cash flow. There is no penalty for closing or discontinuing an SIP . You can also alter the date and amount, during the entire tenure of the SIP . What if I can’t pay SIP in a month? You will miss the investment of that month. The mutual fund company will again try next month. If you can’t pay SIP for the second consecutive month the SIP would be closed. The mutual fund companies do not charge any penalty for non payment of SIP. However bank can charge for cheque bounce. Does SIP work in all market circumstances? There are times when an SIP could disappoint. SIPs tend to under-perform in a constantly rising market since the basic principle of an SIP is cost-averaging. If markets are constantly rising, you would end up investing at higher prices and get lower number of units. For example if you had invested Rs. 5,000 on a monthly basis from January 2004 until December 2007 (before the financial meltdown) when Nifty moved up from 2,000 levels to 6,000. your investment would have been worth Rs. 5.75 lakh until then. In comparison, if you had invested Rs. 2.4 lakhs (Rs 5000 x 48 months) as a lump-sum in January 2004, your money would have grown to Rs. 7.8 lakhs. It has often been a topic of debate whether investment via SIP is better than putting in a big chunk of money at one go. As mentioned above SIP does not work in rising market. Between 2004-2007 SIP would have underperformed compared to lump sum investment.Subsequent events, however, would have negated all the gains. In 2008, the Nifty fell from 6000-odd levels all the way to 2500! An investor who invested in lump-sum would have had all his/her gain wiped out in a single year . Suppose some one invested Rs. 10 lakh in December 2007 in an equity fund. In four months, the money would be reduced to less than Rs. 5 lakh. In some funds, could have gone down to Rs. 1 lakh or Rs. 2 lakh. It would take about six years to break even. However, suppose this investor had invested gradually over 12 months. In that case, only about a tenth of the money would lose a lot of its value. Overall, averaging over a year, the acquisition cost would be such that the investment would hardly ever be in a loss. We have taken an extreme example to illustrate the concept, one that takes shifts the investor from an all-time high peak to a low point. One could have started a little earlier, say in 2006 and then spread the investment over a longer period. It is not easy to time the market, hence one should adopt a strategy where timing is not required. While a lump sum investment could catch a low point in the market, it could also catch a high point. It is impossible to know the right time to enter the market, the best index level and the best or worst day. You may get it right or be close to it a few times but are more than likely to get the timing wrong an equal number of times. Based on what has happened over the last two decades in India, stretching an investment over two to three years is likely to capture enough of a market cycle to significantly reduce risk. Lump sum investing has an element of market timing, which if you get wrong can make you lose money and sleep. At the end of the day, the key question that an investor has to ask is the trade-off between the risk of short-term equity market gyrations and the long-term returns that one can generate from equity. SIPs have proved to be an ideal mode of investment for retail investors who do not have the resources to pursue active investments. You want to save for the down payment of your house 15 months away or for your child’s college education 10 years from now. 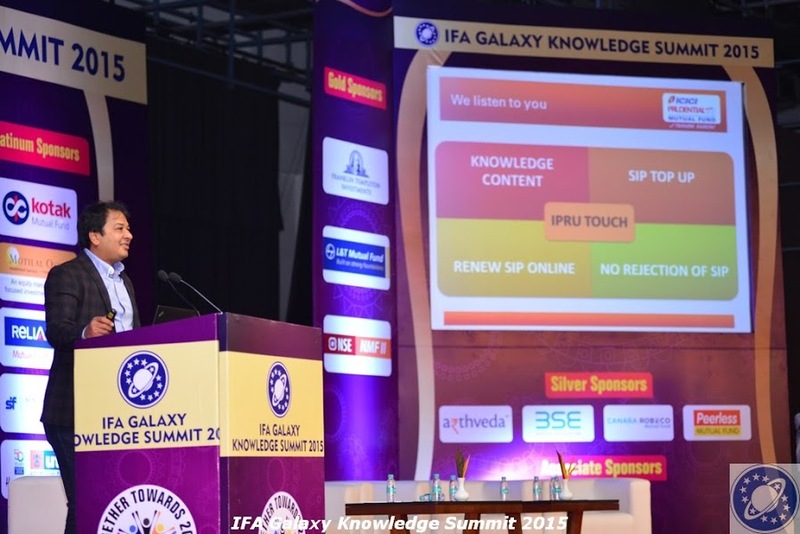 SIP is the ideal vehicle for goal-based investing as it allows you to plan ahead and harness different asset classes Ask any financial planner the mantra for creating wealth in the long term and he would advise regular, disciplined savings in a carefully chosen basket of investments that suits your risk profile. What this means is a systematic investment plan (SIP) in a good mutual fund can create wealth in the long term. 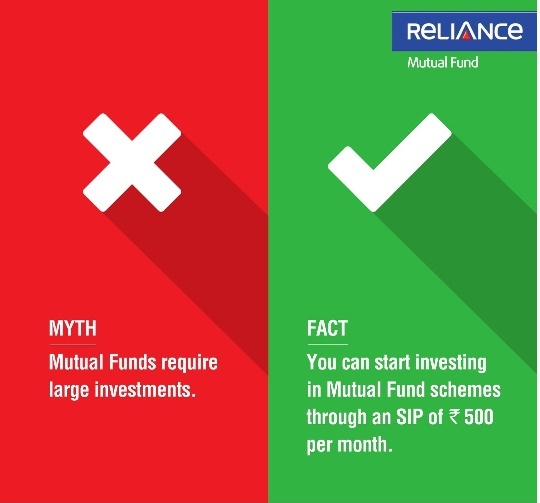 First of all, there are two forms to be filled up when you invest in an SIP if you invest in the scheme for the first time. The main application form captures your essential details such as your name, address, contact details, nomination and so on. The second form is the SIP form where you enter your essential SIP-related details. If you have account which allows you to invest in mutual funds, then you can setup the SIP instructions online. Almost all fund houses offer multiple dates on which you can decide to pay your SIP instalments. Once you choose the date, it’s fixed for all the months or quarters that you choose your SIP for. Now, say, you are paying off a home loan at present and your loan will get over in another six months. This could leave more money in your pocket that you’d perhaps like to channelize towards your SIP. Some fund houses offer you the facility to top-up your existing SIPs after, say, six months or a year after you start your SIP. So do check if your fund house offers this facility. If you do in offline or manually it takes at least 30 days for fund houses to start an SIP and register your bank mandate. So you should be very careful about signatures. Small mistake here, can delay your SIP by around two months. · You can use SIP vs LUMP SUM returns over period of time from BNB Geojit SIP Vs Lump Sum Returns Calculator. · You can calculate SIP returns for upto 3 funds using Morning Star SIP Calculator ,it gives NAV on date of investments. A SIP has several practical advantages. It does not require day-to-day monitoring, few basic decisions must be taken before a SIP is set up and the implementation is also a simple process. 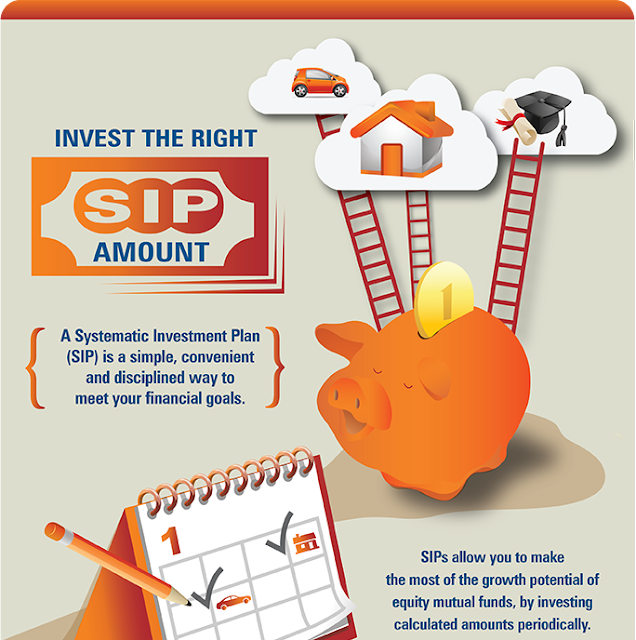 Do you invest through SIP? How to review mutual fund investments? Know Your Mutual Fund Teachers..! How to save for your daughter's future? HOW LIQUID MUTUAL FUNDS OPERATE? Real Estate Financing - Equity Verses Debt ! JLL and 1 Crowd Invest US$ 500,000 in Zipgrid..! Do you use your laptop while travelling by air? Do you switch off from work while on vacation? 3 Major Reasons to Invest in Mutual Funds..! Holiday Travel Plan- Pick your mode of payment? Travel - Who do you like to book through? Who are you planning to travel with? Planning to buy a car? Income Tax Advantages of Debt Mutual Funds..! Holiday Travel - What is your budget?